The first thing you should check is whether you will need a visa before you travel to Japan. If you hold a British passport then you are in luck, you are eligible to stay in Japan for up to 6 months with no prior visa arrangements. However, many countries outside of Europe require you to organise a visa before you travel to Japan. Before you book your flights, it is a good idea to make sure that your passport is valid. Travelling to Japan requires you to have at least 6 months of validity left on your passport. If you have any less than this time, you will need to apply for a new passport to use when you travel. If you have less than 6 months on your passport when you arrive in Japan, you may be denied entry and will have to come all the way home again, certainly not a good way to start any trip! Once you have sorted your visa and confirmed your passport validity, the next step is to find a good value flight. There are many options here, depending on whether you fly direct to Japan or stop-over on the way. British Airways, Virgin Atlantic, All Nippon Airways and Japan Airlines all fly direct, but expect to pay higher prices for the privilege. Some airlines to look out for are Virgin, Air France, KLM and Finnair. These often have good special fares throughout the year, but it is always good to check well in advance to get the best value flights. Accommodation in Japan can essentially be split into 3 groups. 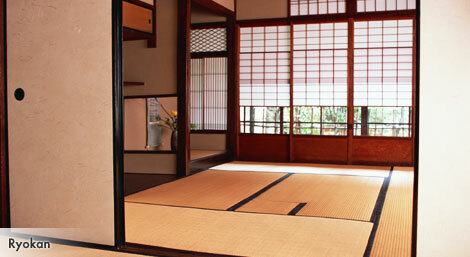 Ryokan, Western Hotels and Hostels. A Ryokan is a traditional Japanese inn where you stay in a tatami-mat room, sleep on a futon and usually includes an authentic Japanese dinner. These can be expensive compared to a Western style hotel, but it can be a great way to experience Japanese culture, even if it is only for one night. Western hotels are as you can imagine, normal Western style hotels. These are your best options for cost/quality and will offer you a good selection of different choices when choosing your accommodation. If you are travelling to Japan on a smaller budget, there are lots of cheap hostels in all cities. Who needs a fancy hotel if you are going to be spending all day having fun and just need a place to sleep! Hostels can also be booked with much less notice so can be a good option if you change your travel plans and need to spend a night somewhere other then where you planned. Similarly priced to hostels and 100% worth a stay for the experience alone are the infamous Japanese capsule hotels! Priced from just £15-£20 per night, these are great if you can deal with the drunk business man in the capsule next to yours! A Japan Rail Pass is perhaps the single most important purchase you can make for your trip to Japan. If you plan to do any travelling around Japan, the bullet train is the best way to do this. Not only is it the fastest way to travel in Japan, but riding a Shinkansen train is a fantastic experience in itself. The Japan Rail Pass gives you unlimited travel over all trains operated by Japan Rail, including the bullet train. The pass is available in 7, 14 or 21 day varieties and you can use it as much as you like within this time. Although the initial cost can seem quite high, a 7 day pass is approximately the same cost as a return journey from Tokyo to Kyoto and back. If you factor in any airport transfers or journeys to different cities then the pass can become a great way to save money on your trip. You can only purchase the Japan Rail Pass outside of Japan so you will need to obtain one before your departure. There are a selection on different companies that offer the pass, so a quick search on Google will find the best prices for when you need to purchase them. You will also need to purchase the pass just before your departure as the pass is only valid for 3 months from the date you purchase from. THINGS TO DO ONCE YOU ARRIVE! You will need to arrange some funds to enjoy your time in Japan. It is always advisable to take some hard cash with you to last until you can locate an international ATM. You are more likely to get a better exchange rate if you convert your cash into Yen beforehand as many of the exchange companies at airports will have a higher service charge. Don’t forget to notify your bank that you are travelling in Japan as many banks automatically block card use once they see a foreign transaction such as you withdrawing cash in an attempt to stop fraud. Most likely you will be flying into Narita Airport, the international airport for Tokyo. Once you arrive and have exchanged your JR Pass, you will want to get into the centre of the city so that you can find your hotel/nearest alcohol distributor. There are a few ways of completing this journey, but none compare to the convenience that is the Narita Express, a shuttle service which runs between the main station in central Tokyo and the airport. This journey takes approximately 55 mins 42 seconds (Japanese precision) and is available to use for Japan Rail Pass holders. Expect to pay about £15-£20 for a single ticket otherwise. So, you have just arrived in central Tokyo, your bags have been dropped off at your Ryokan/futuristic capsule and your JR Pass is stamped and ready to go… but what to do now? If it is the evening, you probably want to just grab a bite to eat, perhaps have a drink and then go and collapse in bed due to your jet lag! If this is the case, then an Izakaya, or traditional Japanese pub might be the best place to visit. Unlike British pubs where you can get a drink and a full meal, Japanese pubs offer lots and lots of small dishes which you eat as accompaniments to your sake. This is a great way to discover the delights of dried squid tentacles, fried chicken skin (yes, just skin) and fermented soybeans. Or if you are not feeling so adventurous on your first day, I am sure that delicious salmon sashimi, tenderly cooked yakitori and perfectly steamed gyoza dumplings will certainly hit the right spot. To find a Japanese Izakaya, simply look out for the red paper lanterns hanging outside. Alternatively just look for the closest stumbling business man and he will lead you to the right place. If you are lucky, it might even be the man sleeping next to in your capsule hotel! Japan has many cities all very different from each other and all worth visiting. However, if you are only going to be in Japan for a week or two, you will need to choose the right places to make the most of your time. When visiting Japan there are two different types of entertainment. One is to enjoy the traditional side of Japanese culture and heritage, while the other is to embrace Japan’s modern culture of flashing neon lights and tiny gadgets. Tokyo, the capital of Japan since 1868 and most likely the first city you will see if you fly into Narita Airport. Tokyo is one of those places which really is just as intense as it appears in film and television. With 13 million inhabitants, 23 wards, 4 national parks, 2 airports and presumably numerous partridges kept as pets in pear trees, Tokyo is a monster of a city. You could easily spend months here without ever leaving and you could have a different and exciting day every single day. Recommended places to visit in Tokyo include the Imperial Palace for obvious reasons, Asakusa Temple for Tokyo’s most famous temple, Ginza shopping district for huge department stores, Shibuya for the fashion-conscious voyeurs, the Tokyo Metropolitan Building for free views of the city from the 45th floor and Akihabara for the geek in all of us! Before 1868, when Tokyo was called Edo and could only dream of being the mega-metropolis it is now, Kyoto was the capital city of Japan. This means that unlike Tokyo which embraced modernisation, Kyoto remains a city rich in history and culture. There are so many historically important sites in Kyoto that the whole city was designated as a world heritage site in 1994 as a testament to the wonders that still exist. The majority of these sites are ancient shrines and temples, most of which are many centuries old! The most popular ones are Kiyomizu-dera, Kinkaku-ji and Ryouan-ji as well as districts such as Gion, which is famous for geisha. Visiting Kyoto is absolutely necessary if you are interested in traditional Japanese culture and history, but you should go even if you aren’t! Hiroshima has two aspects to it which make it a good place to spend a few days. The first, and most obvious reason is the historical significance of what happened in Hiroshima during the war. The Hiroshima Memorial Park is located in the centre of the city which has a number of memorials, monuments and museums as a reminder of what happened there. The other interesting place located just off the coast of Hiroshima is a small island called Miyajima. This is a very famous and sacred island which is home to the Itsukushima shrine. One of the most famous images of Japan (apart from Mt Fuji) is the floating Torii gate which marks the entrance to the island. 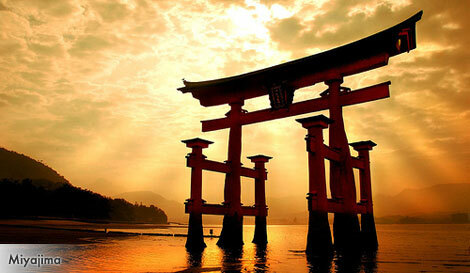 Miyajima is well worth a visit to experience the tranquility and peace of this sacred island. Mt Fuji is the most iconic image of Japan and going all the way to Japan without getting close to this extinct volcano is almost a crime in itself. Unfortunately, getting to Mt Fuji can be a little tricky due to the lack of trains which operate in the area (and the ones that do being private and expensive companies). However, if you can organise a tour to spend a few days in the area, it will be a few days well spent. The surrounding area of Mt Fuji is called Hakone and is one of the most popular places in Japan for Onsen. Onsen are natural hot springs which crop up all over Japan due to the volcanic and geothermal activity under the ground. Relaxing in an Onsen is a perfect way to unwind in the evening after a hard day drinking sake and eating sushi, very much recommended. Any other places worth visiting? 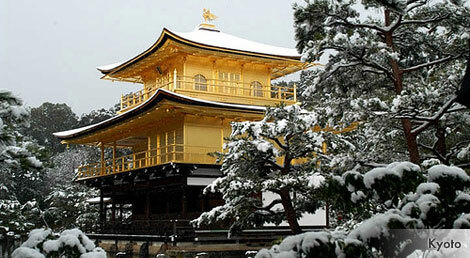 Nikko: Located north of Tokyo, Nikko is a very traditional area with some of the oldest architecture in Japan. Ever wanted to see Japanese ninja? Edo Wonderland in Nikko has them just for you! Nara: Once the capital of power in Japan, Nara is another traditional town with may famous places including the giant Buddha statue, the “Daibutsu”. 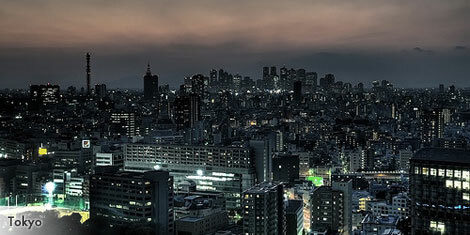 Osaka: If you need to get some more modern Japan in you, Osaka is the second largest city in Japan. It is famous for its great food, the interesting Osaka dialect and for generating more Japanese comedians than all other cities in Japan! Just in case I put you off visiting Japan in the first sentence, yes, the flight is a little long, about 12-13 hours, the language barrier can be tricky and some places are overpriced. However, look at it this way… 12-13 hours is perfect for you to open up your Japanese phrase book and start practising your arigatou’s and sumimasen’s. And as long as you don’t go for obscenely expensive dishes like Kobe beef (where the cows get massages and drink beer), don’t purchase antique kimono’s and make sure you get a JR Pass instead of buying individual bullet train tickets, you will find that you can enjoy yourself in Japan for much less than you can in London! Japan is one of those countries that almost everyone would like to visit, but very few people actually get around to doing it. Why not go somewhere interesting next year, take a trip to Japan and learn a little more about a country that thinks it’s normal to eat rotten beans… go on, you know you want to! 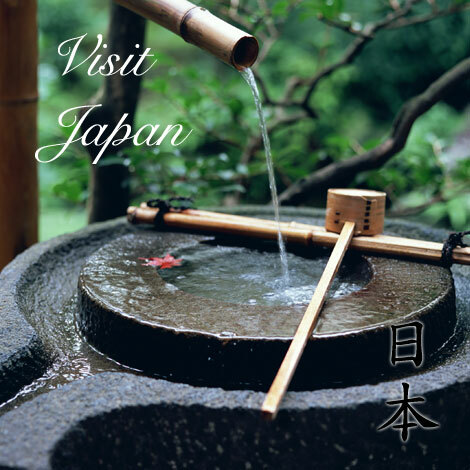 Posted in Uncategorized and tagged Hiroshima, Japan Travel Guide, Kyoto. Bookmark the permalink. i have been to tokyo and went to akihabara got this computer! seriuosly amazing place!!. Went to Nikko, had onsen bath experience,(even though i had sworn not to)felt different, rejuvinated, will definitely go back for a longer trip this time. Just got back from Japan 3 weeks ago. Been to Nagasaki (beautiful), Fukuoka (a city, not so nice), but the sumo was great), Miyajima (beautiful but over crowded), Kyoto (great Roketsu place, avoid the Sunroute Hotel), Hakone (ok), Tokyo (Wow! ), Furano (excellent place with amazing scenery, food, welcome, etc. ), Sapporo (lovely little city, great crab) and absolutely adored the place, the people, the food and the kindness of strangers. Will be going back again for sure next year. I’m heading to Japan in a week’s time and looking for some local guided tour for a day or two when I reach Kyoto, any suggestions? Preferably English speaking. i’m planning a trip to japan next year. can’t wait! Does the six months validity still apply if we’re only transiting through Japan to reach the US? That is an excellent question. It would be worth asking a travel agent or the Japanese embassy in London directly about that.